Check out review and photos from Macklemore’s concert at The O2 Dublin, September 14th 2013! 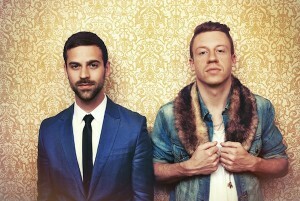 Seattle hip hop duo Macklemore & Ryan Lewis announce an European tour including a date a The O2 Dublin on September 15th. Tickets for the show priced at €36 go on sale on Friday, May 3rd, at Ticketmaster. The group played a packed Academy Dublin and a sold out tour in 70 cities last year. Their mega hit “Thrift Shop” topped The Billboard Top 100 chart giving the group their first No.1 hit, with more than 272 million views on YouTube.